Dr. Kelly Gillespie from the Department of Anthropology and Sociology (UWC) will be a keynote speaker at the conference “Fascism? Populism? Democracy? Critical Theory in a Global Context” that will take place at the University of Brighton, in January 23-25, 2019. 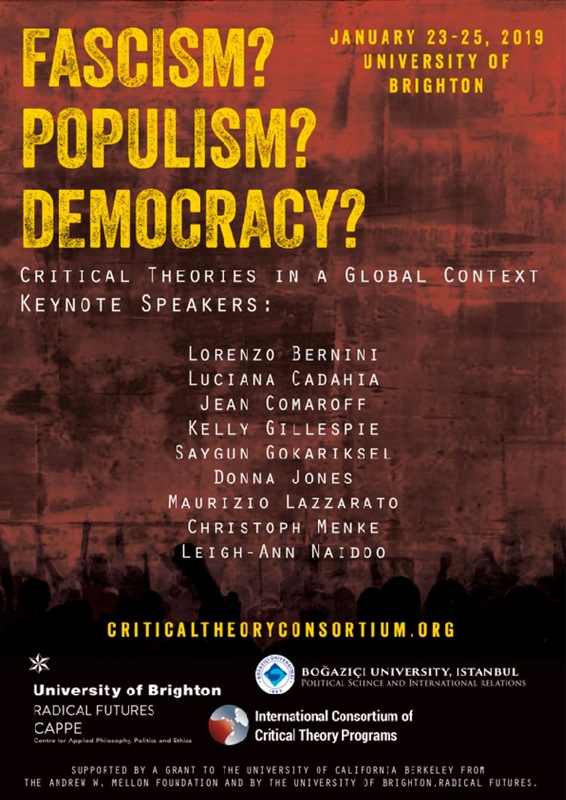 The conference is part of the International Consortium of Critical Theory Programs (ICCTP), co-directed by Professor Judith Butler (UC Berkeley) and Professor Penelope Deutscher (Northwestern University), and funded by the Andrew W. Mellon Foundation.